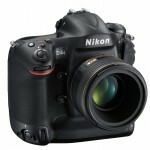 Nikon has updated their Series 1 mirrorless line with the new 18.4-megapixel V3 flagship camera. 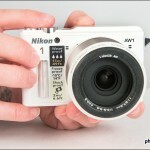 It’s smaller, it can shoot at up to 20 FPS, and it’s the first Nikon 1 camera with built-in Wi-Fi. 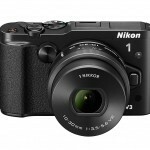 Nikon updates their high-end f/2.8 lens pocket camera by adding Wi-Fi so you can upload all your sweet food photos straight to Instagram! 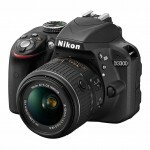 Smaller, lighter, sharper – Nikon’s new D3300 digital SLR puts a 24-megapixel sensor with no anti-aliasing filter in an affordable entry-level DSLR. 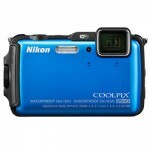 Is the world’s only waterproof, interchangeable lens digital camera any better than a rugged point-and-shoot? 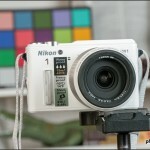 Check out our Nikon 1 AW1 studio tests to find out. 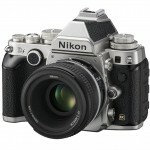 After a couple weeks of teasing and rumors, the classicly-styled Nikon Df full-frame digital SLR is official. 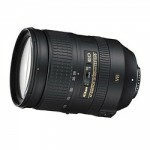 Find out all about it in our detailed announcement article. 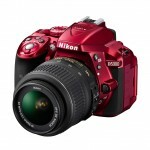 Nikon unveils the new 24-MP DX-format D5300 DSLR with no low-pass filter, built-in Wi-Fi for easy sharing, and a tilt-swivel LCD display. 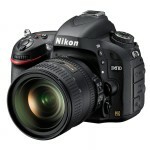 Nikon updates their 24-megapixel full-frame DSLR with a faster burst rate, Quiet Continuous Shutter Mode and improved white balance. 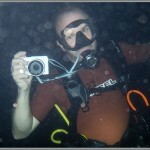 Outdoor and underwater photographer rejoice! 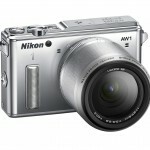 Nikon’s new AW1 is the first interchangeable lens waterproof digital camera! 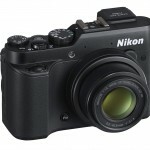 Nikon’s new credit card-sized Coolpix S02 point-and-shoot is for people who want a really tiny camera that can be carried in any kind of pocket. 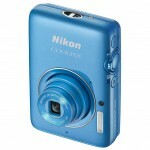 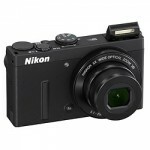 Nikon’s adds an electronic viewfinder to their new top-dog Coolpix compact camera, the 12-megapixel, 7.1x zoom P7800.